I am over the moon and soaring higher!!! And I’m so thankful that I had the opportunity to write this story. Thanks to the hardworking team at Avon Impulse and to my amazing editor Chelsey Emmelhainz (you will be missed <3). And also to Stefanie Lieberman for helping to find a home for the Season’s Original series. I can’t wait to share Jack and Lilah’s story with you! 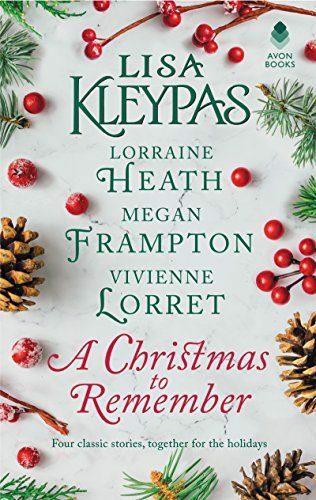 For fans of Regency romance, we know that the Season is when society’s elite come out to play. It’s time for debutantes to snag husbands. And time for dukes, earls, marquesses, and viscounts to surrender a roguish lifestyle in favor of loving one woman for the rest of their lives. The idea is enough to inspire a sigh or two. In addition to a book… or three. THE DEBUTANTE IS MINE is the first full-length book in the series (available 4/12/16). However, the idea for the series sprang from the novella, “The Duke’s Christmas Wish” in the ALL I WANT FOR CHRISTMAS IS A DUKE anthology (12/1/15: Avon Impulse). In the novella, we first meet Lilah Appleton and Jack Marlowe. Lilah is a worrier by nature, and for good reason. She’s racing against the passing calendar days, knowing she must find a husband by the end of the Season or suffer a dire fate. 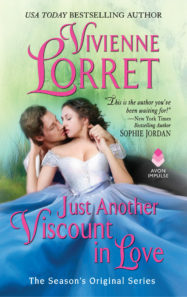 In the novella, her friend, Ivy, tries to help her win the heart of the Duke of Vale. But that doesn’t happen. Ivy falls for the duke, instead. Then where does this leave Lilah? Still in desperate need of a husband. This is where we meet Jack Marlowe, our most unlikely hero. In the novella, the Duke of Vale asks for his assistance. As the saying goes, however, there is nothing more tempting than forbidden fruit. Jack’s curiosity leads us to THE DEBUTANTE IS MINE, where he first meets Lilah. Already, he ignores Vale’s wishes by not sending the flowers, but delivering them in person. And while Jack might remain intrigued by the mystery of Miss Lilah Appleton, sadly our heroine does not feel the same. She must marry a man with a title, and Jack is not such a man. In fact, he abhors the aristocracy. Nonetheless, he feels it is his duty to help her find a husband. And thus, their story begins. She stiffened as he draped one arm over the back of his chair. He sat in a sprawled manner that seemed to take up every inch of space in front of her. There was no way to look anywhere but at him. His thigh swept near hers again, but she held her ground. This time, his eyes appeared darker, as if his pupils were made of treacle that slowly seeped into the golden brown. Along his jaw, she noted the shadow of whiskers that hinted at a darker shade than his blonde mane. And his mouth—even that arrogant tilt at one corner—was beginning to intrigue her. Obviously, she wasn’t thinking clearly. She was irritated, she reminded herself. In the meantime, I’m writing book two: THIS EARL IS ON FIRE(available 8/2/16). THE DEBUTANTE IS MINE excerpt is here! 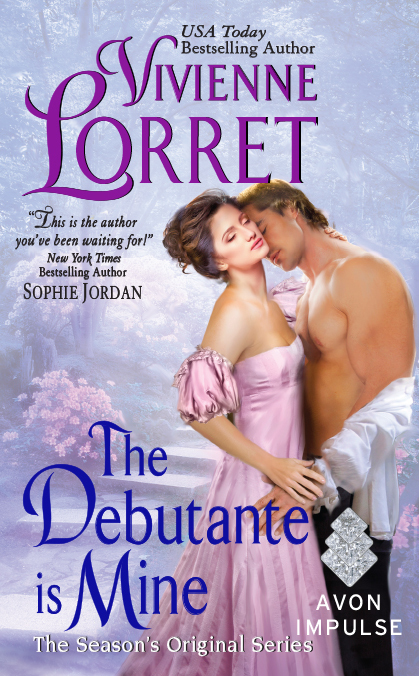 In case you don’t subscribe to my newsletter and missed the sneak peek of THE DEBUTANTE IS MINE, I posted the excerpt on this page. I’ll post more snippets, either here or on my Facebook page, in the coming months before THE DEBUTANTE IS MINE comes out on 4/12/16. I’m currently working on copyedits for THE DEBUTANTE IS MINE–the final stage before the book goes to production. YAY!!! You can sign up for my newsletter for the 1st glimpse of Jack and Lilah’s story. For those of you who have read “The Duke’s Christmas Wish” (in the ALL I WANT FOR CHRISTMAS IS A DUKE anthology, available now), then you’ve already met Jack Marlowe and Lilah Appleton. In this prequel to the Season’s Original series (coming out this year), neither Jack nor Lilah know each other. However, that’s all about to change.